Please click here for the BBC Radio 4 episode. Noreena Hertz is honoured to be part of Rabbi Jonathan Sack’s landmark Radio 4 series on Morality in the 21st Century. Other contributors include Melinda Gates, Robert Putnam, Michael Sandel, Jonathan Haidt and Jordan Peterson. Please click here to view the interview online. 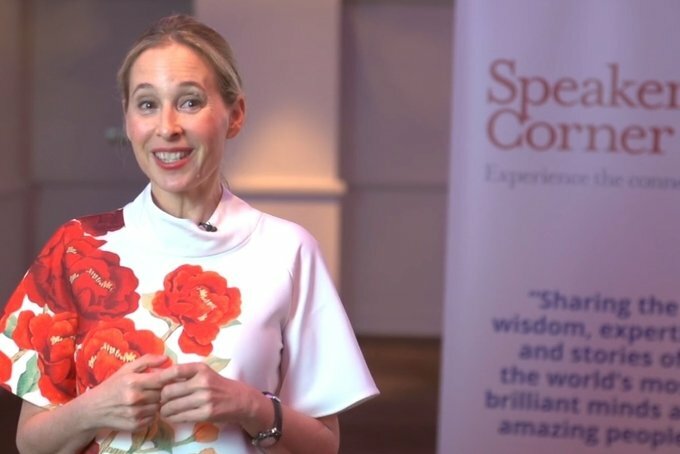 Renowned thought leader, broadcaster and author, Professor Noreena Hertz speaks at The Knowledge Guild event about global trends, geo-political risks, and ‘Generation K’ – the post-millennials. In this MegaHertz episode, Noreena Hertz is joined by royal expert Kate Williams, esteemed doctor and writer James Le Fanu, one of the UK’s favourite comedians Adil Ray, and movie producer Danny Cohen. This week Noreena Hertz discusses anti-Semitism in Britain’s Labour Party, Artificial Intelligence & the fascinating city that is Istanbul with authors Howard Jacobson and James Smythe, historian Bettany Hughes and TV and Movie Producer Danny Cohen.